A surprising and revealing look at how today’s elite view their own wealth and place in society. From TV’s “real housewives” to The Wolf of Wall Street, our popular culture portrays the wealthy as materialistic and entitled. But what do we really know about those who live on “easy street”? 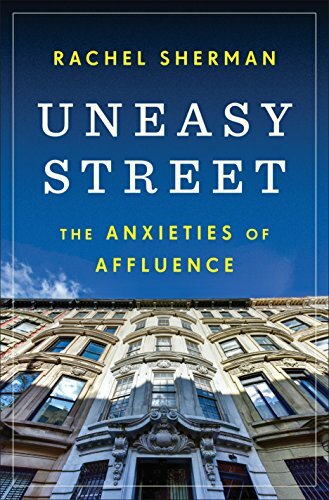 In this penetrating book, Rachel Sherman draws on rare in-depth interviews that she conducted with fifty affluent New Yorkers–including hedge fund financiers and corporate lawyers, professors and artists, and stay-at-home mothers–to examine their lifestyle choices and their understanding of privilege. Sherman upends images of wealthy people as invested only in accruing and displaying social advantages for themselves and their children. Instead, these liberal elites, who believe in diversity and meritocracy, feel conflicted about their position in a highly unequal society. They wish to be “normal,” describing their consumption as reasonable and basic and comparing themselves to those who have more than they do rather than those with less. These New Yorkers also want to see themselves as hard workers who give back and raise children with good values, and they avoid talking about money.